In September 2016, the United Nations General Assembly convened a landmark summit on the large movements of refugees and migrants. The resulting New York Declaration for Refugees and Migrants sought to address some of the major governance challenges in the area of migration, and set in motion negotiations for a global compact for safe, regular, and orderly migration. One of the New York Declaration’s most notable features is its recognition that migrants make significant contributions to economic growth and development, both in destination countries and in countries of origin. The proposed global compact on migration similarly acknowledges the positive impact that migrants have on development. But while the Declaration and compact indicate that governments are proactively engaging with this nexus, the link between migration and development remains deeply — even willfully — misunderstood. One of the main misconceptions is the assumption that underdevelopment is a primary driver of migration. Or, in other words, that poverty triggers mobility. The reality is that development in poor countries leads to more migration, not less — in large part because development increases people’s capabilities and aspirations to move. Michael Clemens, in his study on global migration patterns, found that development goes hand-in-hand with migration: as poor countries become richer, emigration (people leaving their country) goes up. It is only when countries reach middle-income levels that further economic development results in less emigration. However, most of today’s poor countries are decades away from reaching that level. The reality is that development in poor countries leads to more migration, not less. Another critical flaw in policy discussions is the predominantly economic approach that policymakers typically take to understand migration. So-called “push” and “pull” factors — sometimes described as “hardships” and “opportunities” — tend to caricature migrants as having only economic interests. In fact, a host of factors contribute to migratory decisions. Household ambitions, cultural traditions, environmental change, in addition to economic and political conditions of origin and destination countries, all influence how migration decisions are made. It is, therefore, deeply worrying that policymakers continue to simplistically see migration as a consequence of poverty, rather than as part of broader development processes. This view has had significant policy consequences. The European Union (EU), for instance, has set up several Partnership Frameworks with African countries to help accelerate their development in order to address the root causes of irregular migration. The German government, similarly, has proposed a “Marshal Plan with Africa”, which aims to increase development aid in an effort to stem migration. Language in the aforementioned New York Declaration, however, suggests that this approach might be changing somewhat. Instead of using development as a tool to curtail migration, the Declaration acknowledges “that international migration is a multidimensional reality of major relevance for the development of countries of origin, transit and destination” — a far more nuanced view than the prevailing “poverty causes migration”. Even so, many of the same misconceptions about migration and development persist in the Declaration. Although the document acknowledges the positive contributions that migrants make to inclusive growth and sustainable development, it also declares that “the lack of development and economic opportunities” are key drivers of migration. The Declaration’s appendix II, which sets the agenda for a global compact on migration, falls into a similar trap when it identifies “poverty, underdevelopment, lack of opportunities, poor governance and environmental factors” as some of the main drivers of migration. If these tensions remain unaddressed, the global compact will face significant challenges. For one, these tensions reinforce negative stereotypes of migrants by implying that migration is a symptom of economic failure. If policymakers take it for granted that development reduces migration, despite evidence on the contrary, they are unlikely to create policies that effectively manage the increase in migration. Poverty and underdevelopment have long been associated with so-called “undesirable” outcomes. William Easterly has similarly argued that the negative perception that poverty sparks terrorism resulted in a wave of xenophobia towards refugees and migrants in the United States. Widespread perceptions of the “undesirability” of migrants will undermine the compact’s efforts to fight xenophobia and racism. A further challenge lies in the disparity between the expected and eventual outcomes of these policies. 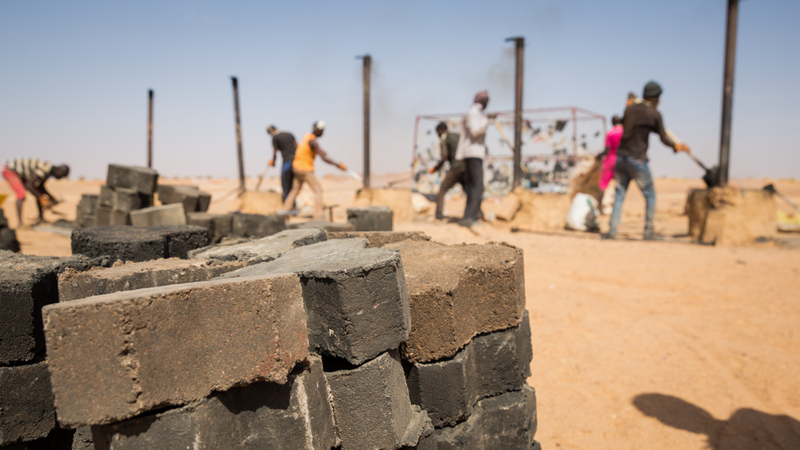 If policymakers take it for granted that development reduces migration, despite evidence on the contrary, they are unlikely to create policies that effectively manage the increase in migration. To a certain extent, this is already happening in Europe. The EU’s development aid to Africa has coincided with further fortification and militarisation of its borders, which has often led migrants to use more irregular and dangerous routes. From a policy standpoint, there needs to be greater acknowledgement that migration cannot be “extracted” from development and managed separately. In order to develop an effective global compact on migration, governments need to grasp the reality that, although migration and development influence each other, increased development aid will not directly reduce migration. The views expressed in this article are those of the author and do not represent the views of the United Nations University. Development Aid Alone Won’t Reduce Migration by Bavo Stevens is licensed under a Creative Commons Attribution-NonCommercial-ShareAlike 4.0 International License.